As a result of Collins citing Swetnick's claim, liberals began to pile onto Avenatti - blaming him for Kavanaugh's impending Saturday confirmation, while conservative pundits poked fun. Avenatti may be a Republican operative cuz no one could pull off this self-sabotage, unless it was deliberate. While Christine Blasey Ford's groping allegation may have been believable - and enough to derail the nomination, subsequent claims against Kavanaugh likely derailed what little legitimacy Ford had. I wonder if the Swetnick fiasco will have the same effect on Michael Avenatti that the Roy Moore disaster did on Steve Bannon. 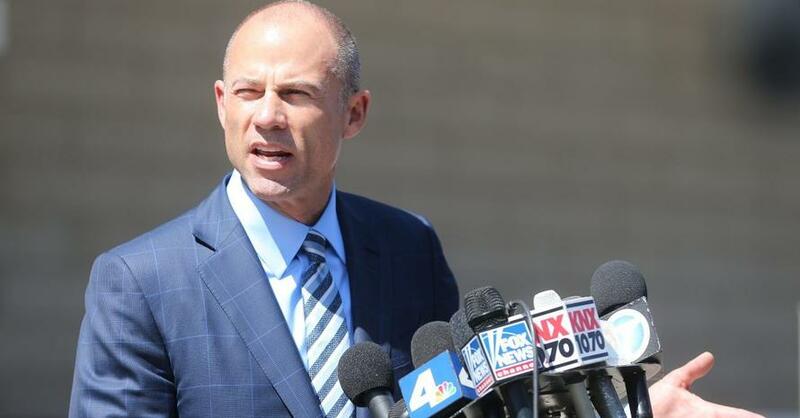 Avenatti responded: "You are right. I should have turned my back on my client. Told her to “shut up” and stay quiet because people like you apparently believe assault victims are to blame. This line of thinking is disgusting and offensive to all survivors. And it makes lawyers not want to help them." Feldscher replied: "Literally never suggested that, but have a good weekend sir." Literally never suggested that, but have a good weekend sir. Update: As CNN now reports, Senate Democrats are also jumping on the anti-Avenatti bandwagon. A host of Democratic senators and senior aides told CNN that the allegations from Avenatti's client gave the GOP an opening to conflate -- and dismiss -- all the allegations in one broad brush. "Well you know at some point there were a lot of folks coming forward making all sorts of accusations," said Sen. Gary Peters, a Michigan Democrat, when asked about the allegations raised by Avenatti and his client. "It turns it into a circus atmosphere and certainly that's not where we should be." Asked if Avenatti was helpful, Peters said: "I think we should have focused on the serious allegations that certainly appeared very credible to me that would be our best course of action." Privately, the assessment was far more scathing.